The Coffee for Royalty - Hawaii's Royal Kona Coffee and Flavored Coffee Blends from Hawaii! 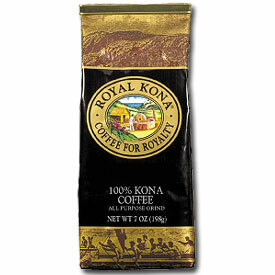 Royal Kona Coffee "The Coffee for Royalty"! Specializing in 100% Pure Kona Coffee in Whole Bean or Ground and 10% Kona Coffee Flavored Blends in Ground Only. Sam Choy's VolcanoRoast | Honey Macadamia Nut | Mocha Latte | White Chocolate Cappucino | Mountain Roast. Enjoying your favorite cup of coffee... **Additional shipping charges may apply to heavy, oversized, fragile and bulk orders.